Runeblade is the first of its kind to only be playable on Apple Watch. The iOS download is actually the companion to this hack-and-slash role-playing title. Play the game on your wrist, and check out the lore on your iPhone. 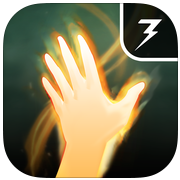 Download the game on your iPhone and install it on your Apple Watch to play. As soon as you open the app, you will see an illustration of some kind of creature. Probably a Bewitched Rat or a Frenzied Crab. Tap the sword button to attack. The fight is stats based. The amount of damage done to the creature is based on how fast you are at swinging and how powerful the sword is at damaging. You won’t receive any damage. Instead, during boss battles, you must defeat the enemy within a certain amount of time or he retreats and you must try again. If you can’t seem to win against a boss, try to earn enough coins to upgrade the runes in your sword. Upgrades make your attack stronger so you can cause more damage quicker. Once you’ve upgraded your sword to level five, you will unlock spells that will affect your game’s progress. For example, when activated, the Endurance spell will automatically attack everything for 15 minutes. You don’t have to tap the screen during this time period. The action will continue, whether you are in the game or not. 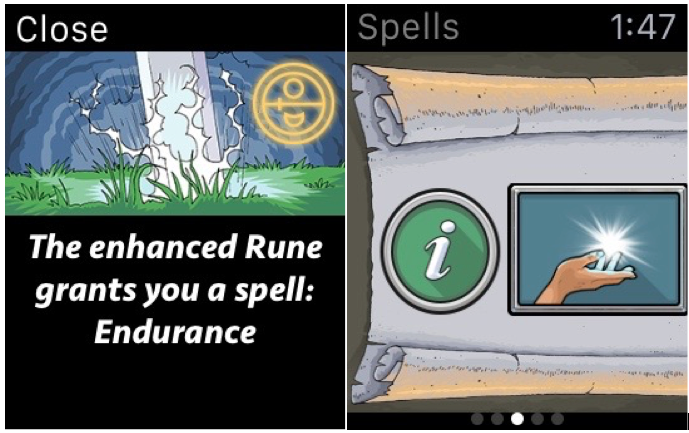 The more powerful the runes are, the more spells you will be able to unlock. There are also magical artifacts and achievements to unlock. 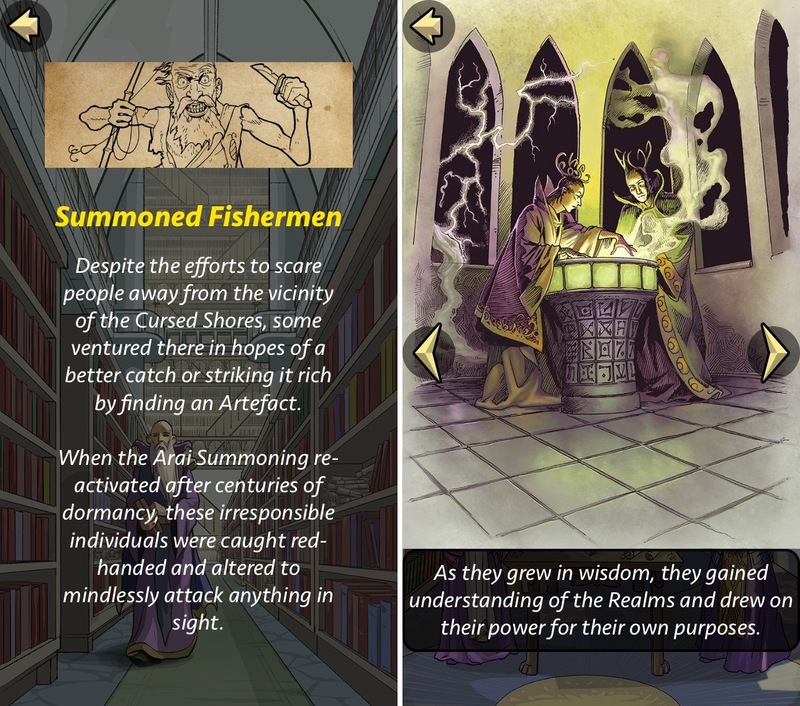 As you progress in the game, you will unlock new information that you can read about on the iPhone app. Discover the world you are fighting in through the Lore Keeper. See what new spells you have unlocked in the Library. There is an in-game store on the iPhone app. However, it appears the company has not had time to fill it with items. So, for now Runeblade is completely free with no in-game purchases. Just remember, you will have to download the app onto your iPhone, but the game itself can only be played on Apple Watch. Download it in the App Store today. 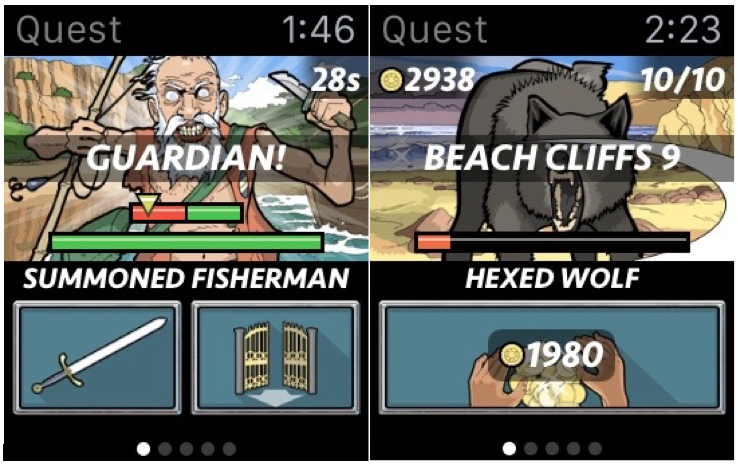 What do you think of this simple role-playing game for Apple Watch? Let us know in the comments below. 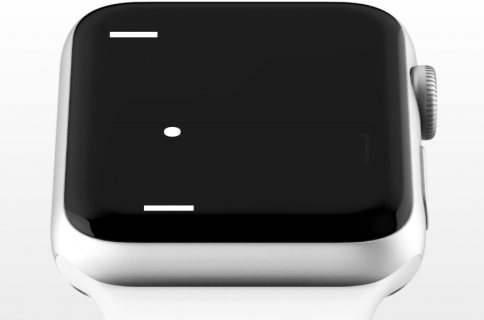 How about the tiniest game of pong for your Apple Watch?